One of the largest bell pepper producers of North America almost went out of business last year after it came under fire from a dangerous little pest called the pepper weevil. The insect, which caused over $75 million in damages to Nature Fresh Farms, could not be seen by humans and it only reproduced faster when exposed to pesticides. 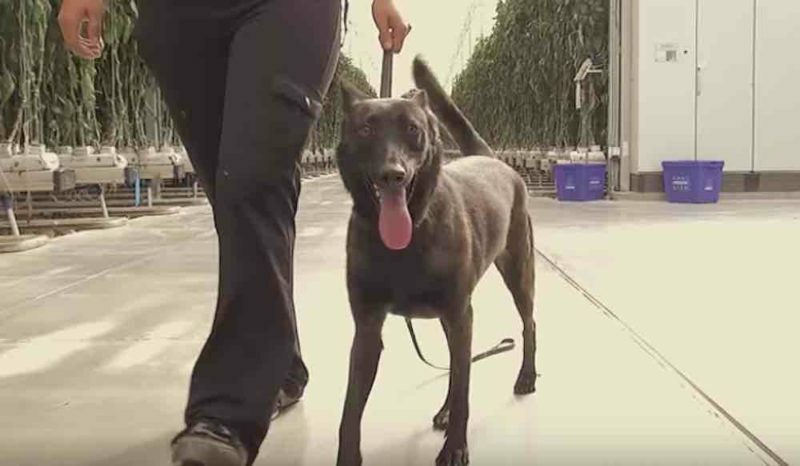 The greenhouse based out of Leamington, Ontario was running out of options for pest control, and staff feared that they would be put out of business. But then, they decided to bring in Chili the 2-year-old Belgian shepherd. Chili is the world’s first dog certified to sniff out the pesky insect. Since she was hired by Nature Fresh Farms in July, the greenhouse has had little to no interference from the pepper weevil. The pup is able to sniff out where there is an outbreak of pepper weevils so quarantine specialists can close off the area and eradicate the pest.